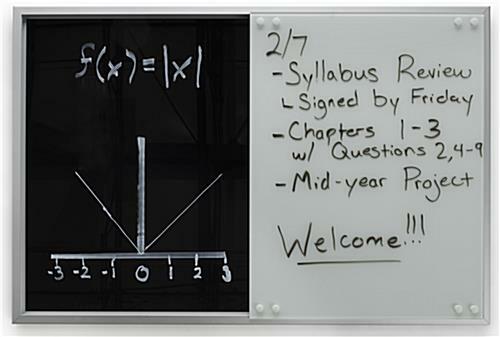 Add this very modern glass markerboard with sliding doors inside your meeting room or office! 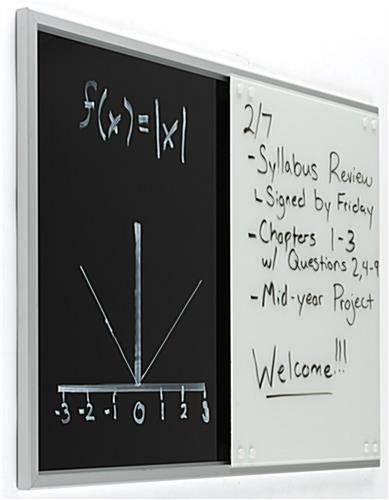 The write-on display features an anodized silver aluminum frame with a black glass panel. 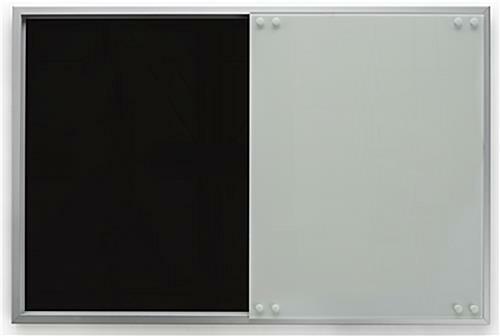 The 18" x 24" white panel is situated in front which slides left and right. 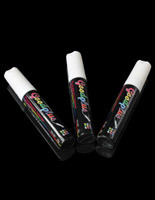 The markerboard accepts dry or wet erase markers. 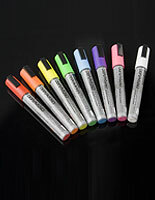 Jot down notes, lists, or drawings on the fly. 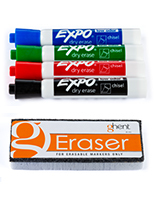 Your markings erase cleanly from the glass surface without any ghosting. 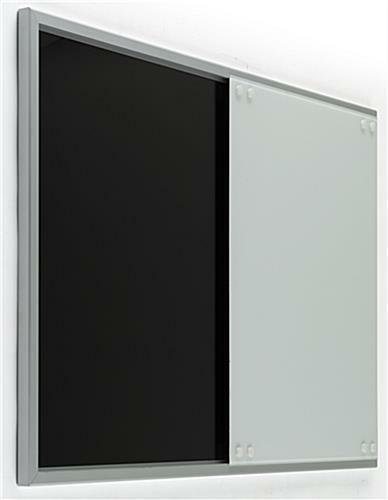 The panels are also magnetic receptive. 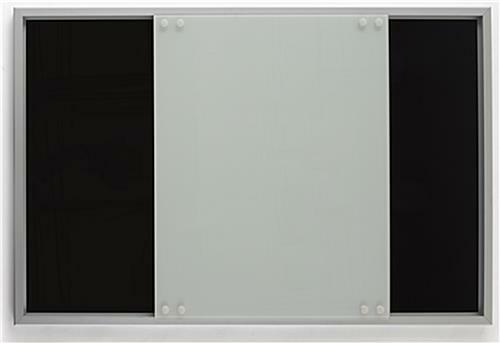 Brimming with style, let this glass markerboard with sliding doors accent your modern interior with its neutral color and sophisticated design! 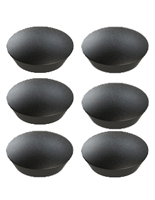 Please Note: The magnetic receptive backing is best used in conjunction with strong magnets such as neodymium. 36.0" x 24.0" x 1.5"